When will be Long Lost Family: Together Again next episode air date? Is Long Lost Family: Together Again renewed or cancelled? Where to countdown Long Lost Family: Together Again air dates? 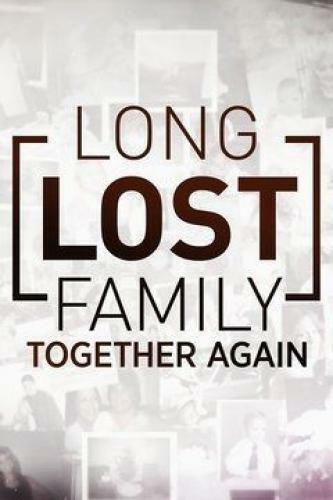 Is Long Lost Family: Together Again worth watching? Long Lost Family: Together Again is the newest series in TLC's Long Lost Family franchise. Helping to reunite people with their biological families; with facts and extra scenes. Susan hopes finding her birth mother will give her the intimate connection that biological families share; Joanna wants to explore her heritage, but must first find a father who doesn't know she exists; with facts and extra scenes. After winning the battle against addiction, Jon seeks out the daughter he was forced to give up; decades after her newborn was adopted, Quida hopes to hug the daughter she never got to hold; with facts and extra scenes. Teri and Gusty Graham gave up their son before they married; Leslie shares the story of her birth parents, an interracial couple in the late 1970s; with facts and extra scenes. Long Lost Family: Together Again next episode air date provides TVMaze for you. EpisoDate.com is your TV show guide to Countdown Long Lost Family: Together Again Episode Air Dates and to stay in touch with Long Lost Family: Together Again next episode Air Date and your others favorite TV Shows. Add the shows you like to a "Watchlist" and let the site take it from there.